Ag-tech cannabis play, Roto-Gro International (ASX:RGI), has released its activities report for the June quarter, reporting strong progress across the full spectrum of its ag-tech operations. Encouragingly, RGI is in a healthy cash position, having recently raised $4.56 million from sophisticated investors. During the quarter, RGI completed its acquisition of Hanson Fertigation via its wholly owned subsidiary, Global Fertigation Solutions Inc (GFS). This pivotal acquisition provides a holistic solution to the agricultural industry at large, which encompasses traditional field farming, greenhouses, flat deck cultivation and rotational gardens. This kind of leverage to the fertigation space, moreover, further expands RGI’s revenue streams and boosts its emergence as a global ag-tech solutions provider. Fertigation, which is paramount to modern hydroponics, is the injection of fertilizers, soil amendments, and other water-soluble products into an irrigation system. RGI also invested in organic perishable foods grower, Gibio Inc., which provides for it to subscribe for up to a 49 per cent equity stake. Part of this collaboration has seen RGI penning an exclusive 20-year exclusive, manufacturing, tech and service contract for all rotational garden systems required for Gibio’s perishable food facilities globally. 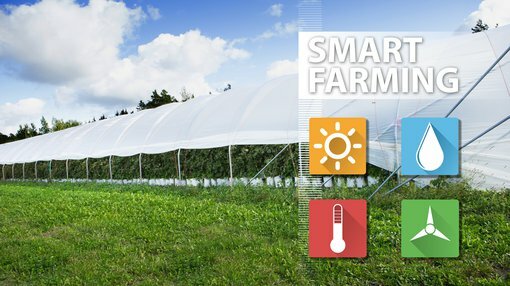 Gibio’s first flagship indoor vertical farming facility will comprise 420 8-foot diameter RotoGro Rotary Hydroponic Garden Systems — specifically designed by RGI to meet Gibio’s operational needs to harvest and supply 3,600 heads of cos lettuce per day for a prominent supermarket chain in Quebec. The fast-moving RGI has also actioned its $2.3 million purchase order for Miracle Valley. The first $1 million has been received, triggering production of the RotoGro Hydroponic Garden Systems required by Miracle Valley to build out its 29,000 square foot state-of-the-art cultivation and manufacturing facility in British Columbia, Canada. Due to delays with Miracle Valley’s construction contractors, it will be able to receive its first delivery of machines in August. Meanwhile, RGI’s sales team continues its holistic approach — providing solutions from concept to harvest, integrating design and growing expertise — to enable engagement with prospective clients very early in the application and design phase. This ensures that the design of each facility maximises the advantages of the RotoGro System. Further to that, Dr Hamid Hamiduzziman, a qualified botanist with a PhD in Molecular Plant Pathology from the University of Neuchatel, Switzerland, has joined RGI’s Toronto team on a full-time basis. Hamid will lead RGI’s growing trials and work with clients to enhance yields using the RotoGro System. Both of RGI’s state-of-the-art grow rooms have been designed as separate dedicated growing environments for perishable foods and cannabis. During the quarter, RGI completed grow cycles of cherry tomatoes, cabbage, capsicums, lettuce, herbs and chili peppers during the quarter. 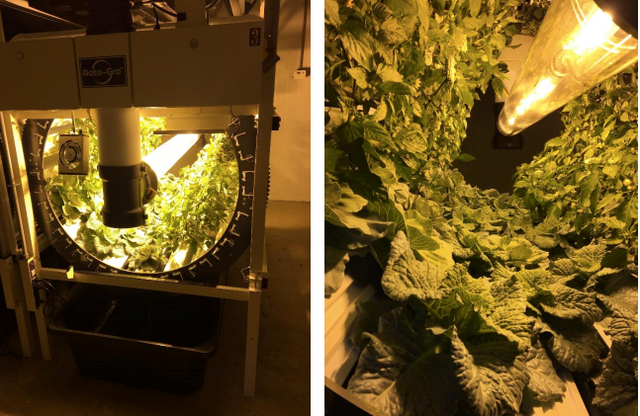 Tests focused on different light sources between machines to enable a better understanding of the impact of these on yield, temperature, humidity and nutrient consumption. Results were highly fruitful, confirming the savings in power cost associated with hydroponic growing. Promisingly, RGI has also determined that there is a valuable revenue stream in offering nutrients in support of its licensed iGrowTM software management system. On top of that, RGI continues to work with new and existing clients, assisting with design and fit-out solutions for their cannabis growing facilities. These kinds of efforts seen one unlisted client successfully growing three cannabis crops in its test units and progressing to the design of its first phase installation, which will provide for 48 RotoGro Systems. “Our successful acquisition of an established fertigation business and our investment in urban farming of perishable foods with Gibio are significant steps to creating a solid foundation for our future,” added Carli. “These achievements, together with the upcoming deliveries for Miracle Valley, new orders and investment opportunities, are a testament to the continual hard work of our team. We are excited about the next quarter as we look to expand our third vertical of agricultural services, and to secure equity participation in a lawful cannabis license,” Carli noted.